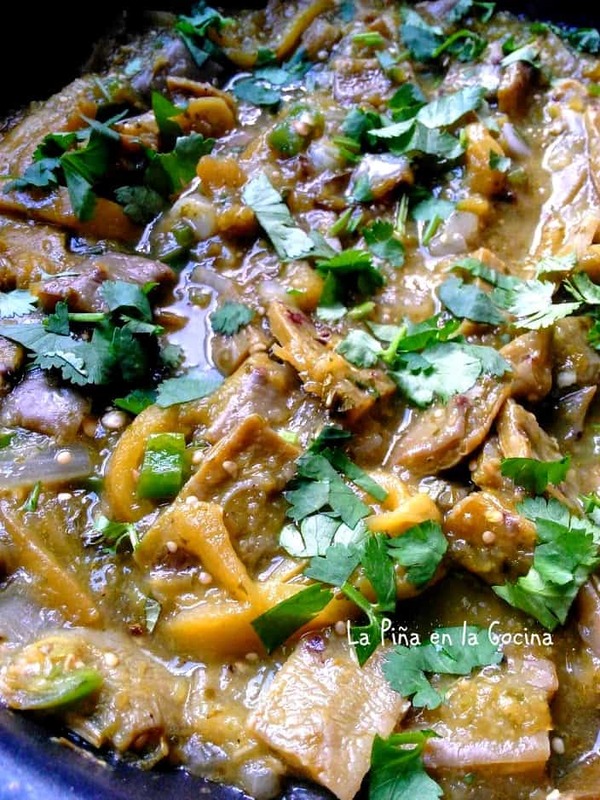 Pork in tomatillo salsa! It’s, as they say, a no brainer! I grew up garnishing pork tacos with tomatillo salsa(salsa verde). 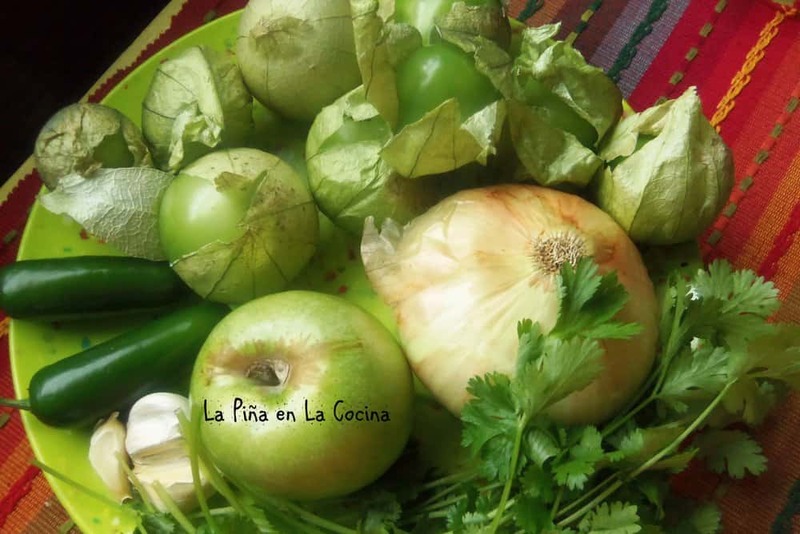 The next best thing, for me, is pork in tomatillo salsa! 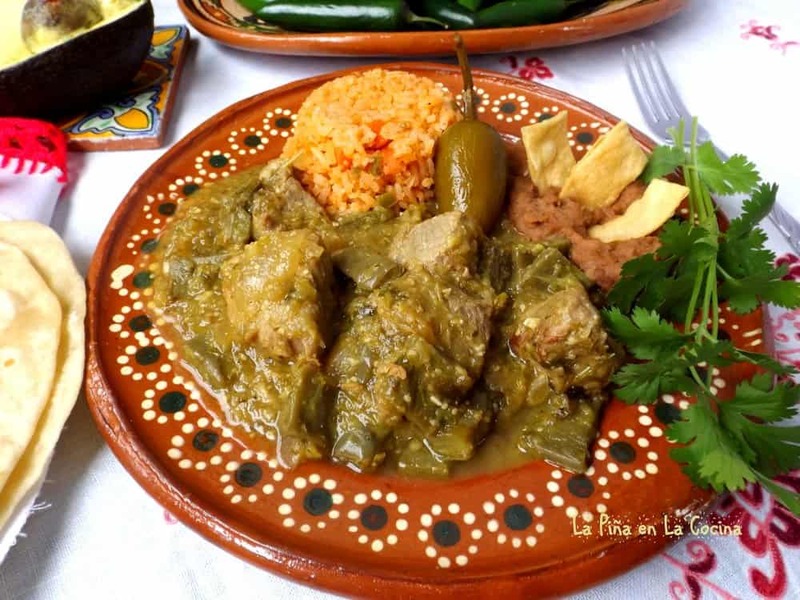 The bonus part of this easy recipe is that you will learn to prepare the pork with or without nopalitos(cactus). 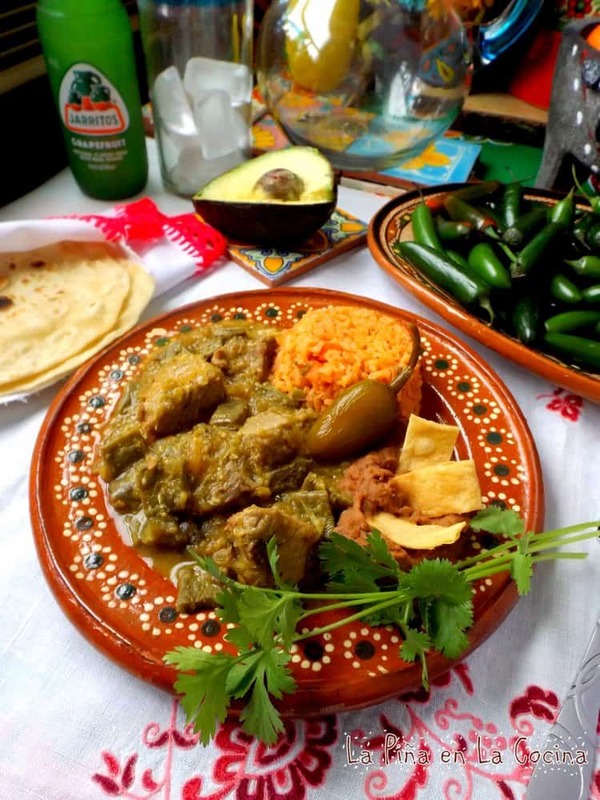 Nopales are one of those ingredients, much like cilantro, you either like them or you don’t. I happen to love nopales. Grilled, pan seared, or in spicy salsa! Lucky for me I am able to purchase fresh nopales at a small Mexican market about 90 minutes from my house. 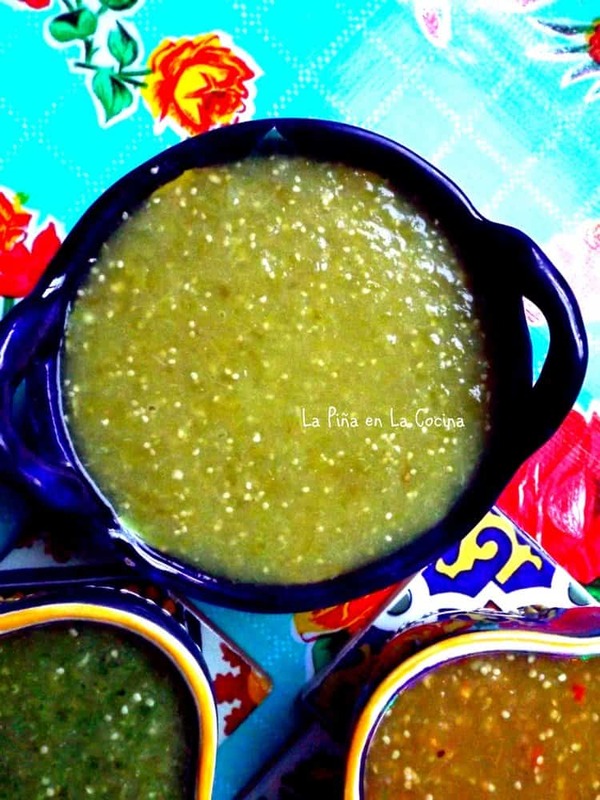 My better half loves pork in tomatillo salsa without nopales and that’s ok. More cactus for me! 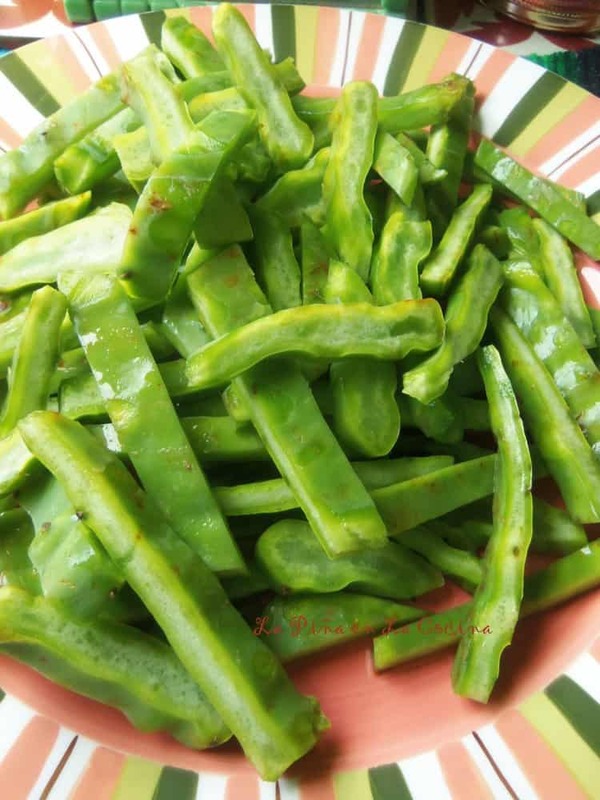 If you have never tried nopales, the texture is much like a cooked green bean. They are mildly tart lime a lemon. Any carne guisada(stewed meat) must have a side of rice and beans in my opinion! Or at least some homemade tortillas. 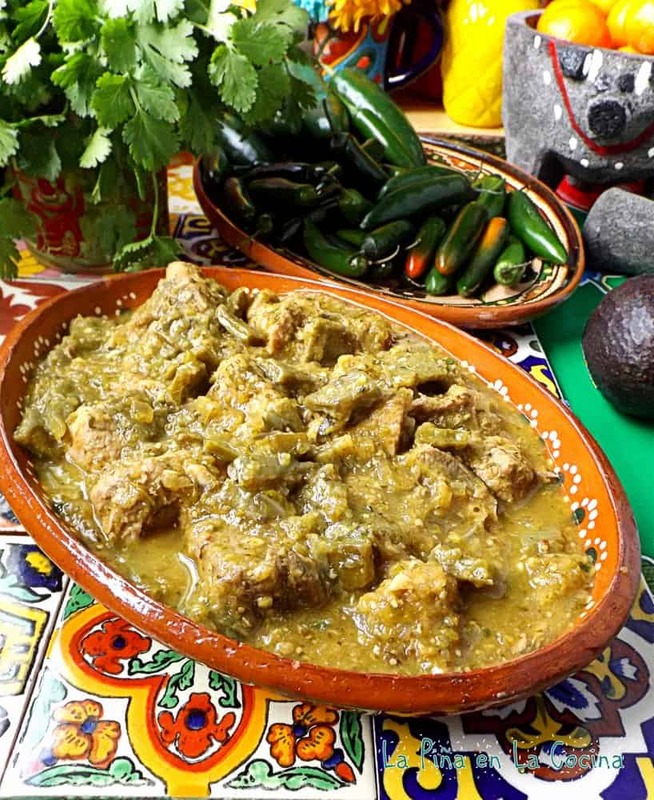 Easy, delicious pork in tomatillo salsa! 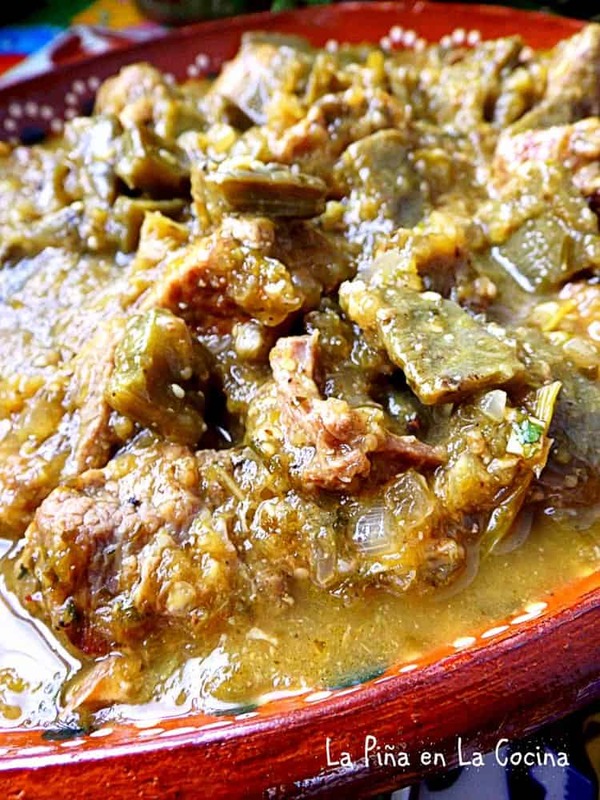 With or without the nopales, the recipe yields a tender pork that always pairs well with tomatillo salsa and warm tortillas! Season the pork with salt, garlic powder and pepper. Let sit for a few minutes. Preheat 4 tablespoons of oil in a large, heavy skillet to medium for a few minutes. Brown the pork as best you can on all sides in the hot oil. Pour in 3 cups of warm water. Stir well, scraping the bottom of pan to get all those bits of flavor off the bottom. Cover with tight lid and continue cooking at heat right below medium for about 45-60 minutes or until the liquid evaporates. While pork is cooking, add your tomatillos, jalapeños, onion and garlic to a pot of simmering water. Simmer for 10 minutes or just until tomatillos turn from bright green to olive green. 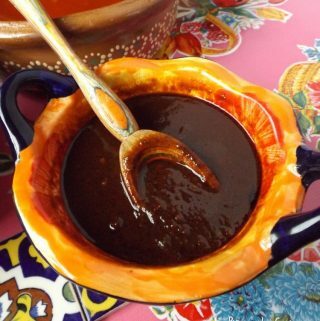 Using a slotted spoon, transfer salsa ingredients to the blender. Add cilantro and salt to taste. Blend on high until very smooth. Set aside. Once all the liquid has evaporated from the pork, add the diced onion and garlic. Saute for 2 minutes. Pour in the salsa. Stir in the oregano and bay leaves. Reduce heat. If adding nopales, add them in right now. Cover and cook at a steady simmer for 20 minutes. This stove top method of cooking the pork is perfect for preparing carnitas too! Once all the liquid evaporates, just add a few tablespoons of pork manteca and fry the pork for a few more minutes! Ready to eat! 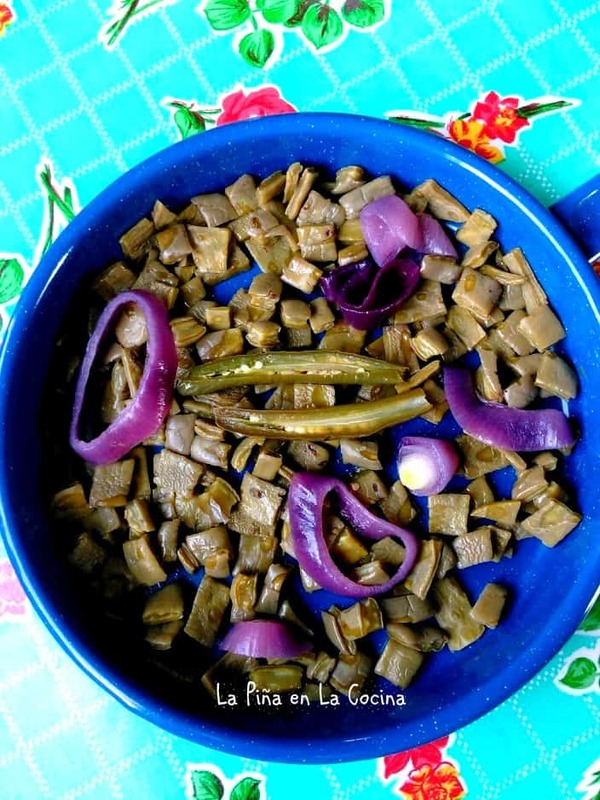 Most recipes for cooking fresh nopales will instruct you to boil them. I did that for years! Until one day last year I saw a short video of my friend Leslie @lacocinadeleslie cook them with no water! No water! You simply add the chopped nopales to a sauce pan, cover and heat to medium. In mine below, I added some aromatics like onion and serrano. Sometime I add cilantro and garlic too. Once they begin to heat, they will release their own liquid. It will eventually evaporate, taking all of the slime that is characteristic of nopales. It’s that easy. I then rinse with cold water and my nopales are ready for my recipes. Nopales with just salsa verde and roasted poblano strips! 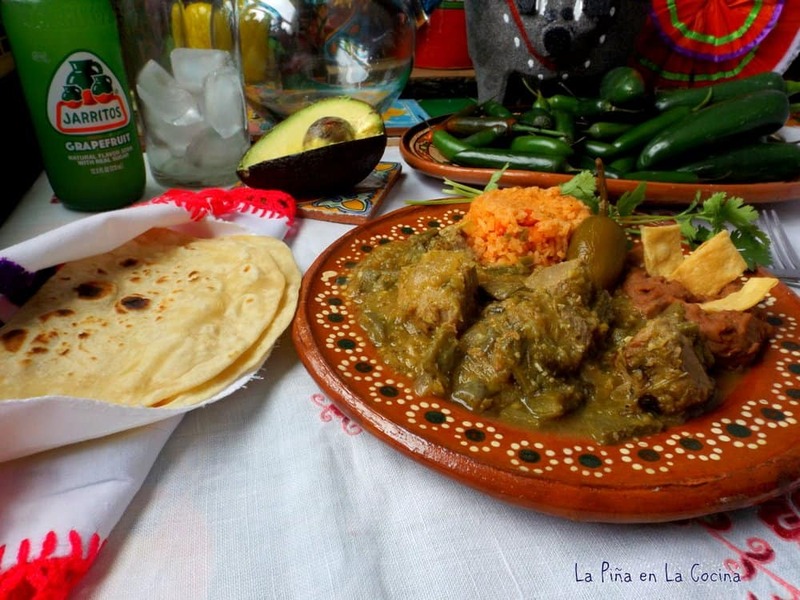 Pork in Tomatillo Salsa with Nopales! 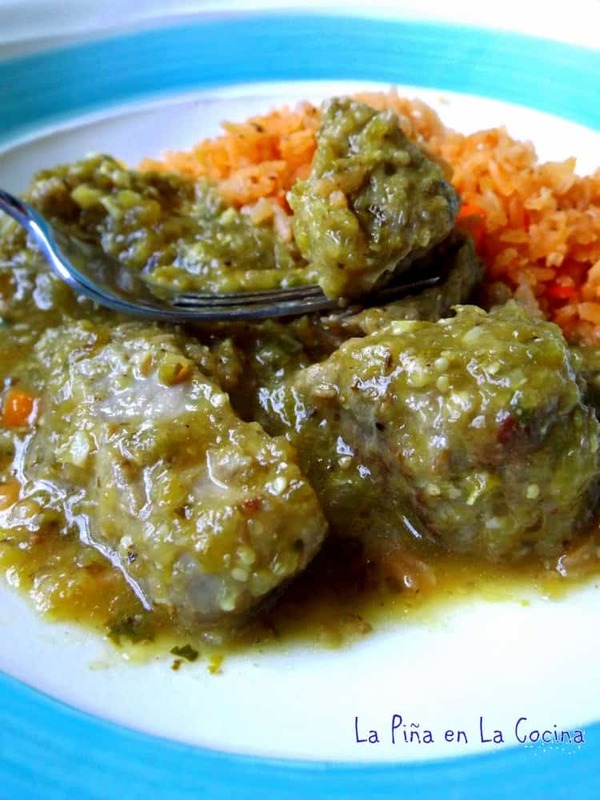 Pork in Tomatillo Salsa, no nopales! Flour or corn tortillas? Which one is a must have when enjoying your favorite Mexican dishes? 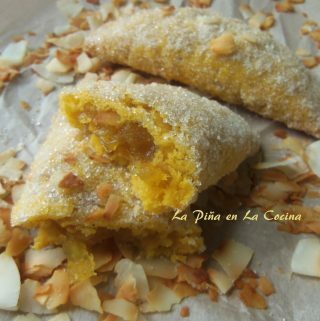 I followed this recipe it was so good! Thank you for sharing. Hi Celia! 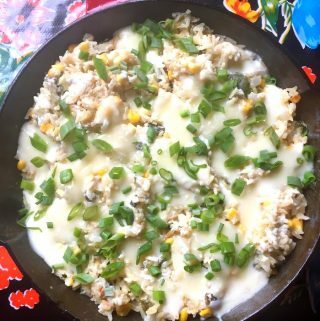 I am so happy you tried the recipe! You’re welcome!